There have been so many great Labor Day sales going on that it’s so hard to keep up! I thought it would be fun to compile a list of deals from Indie brands I’ve seen pop up this weekend! Bellegant Cosmetics – 20% off your entire purchase with code LABORDAY valid this weekend only! JD Glow Cosmetics – 30% off the entire website with code flash30 through 9/6/16 12AM CST! Devinah Cosmetics – 40% off with code LaborDay all orders through Monday at midnight! Coloured Raine Cosmetics – 15% off site wide through 10PM PST 9/5 – no code necessary! D Benoit Cosmetics – 25% off all orders with code LABORDAY25 all weekend! Black Moon Cosmetics – 20% off all permanent shades – begins 12:01AM PST 9/5 and will end 12:01AM PST 9/6! 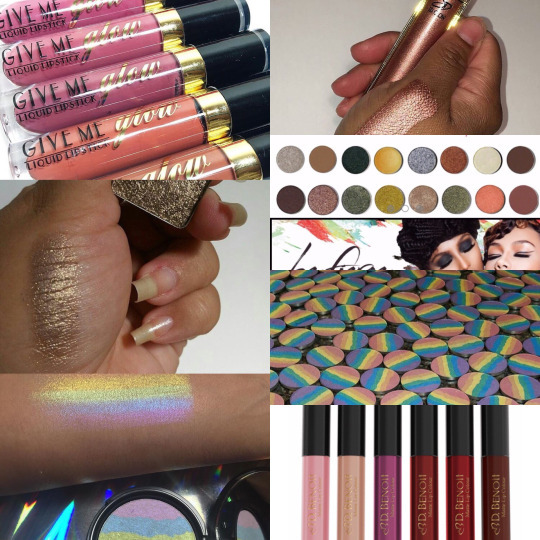 Give Me Glow Cosmetics – 15% off your order with code LABORDAY15 this weekend! Copen26 – 25% off your order with code Laborday this weekend! The Beauty Arsenal – 30% off all orders $20 or more with code YASS30 through Monday! Iviviiv Cosmetics – 40% off all orders with code LABORDAY this weekend! Cache Appeal – All lippies are $8 a piece! Klarity Kosmetics – 25% off all products – no code needed! Beauty Bar Baby – 25% off all in stock liquid lipsticks until midnight 9/5 – no code needed! DNA Cosmetics – 15% off all products through 9/5 – no code needed! BH Cosmetics – 25% off site wide with code 25OFF through 9/5! Some exclusions apply. Who Is She Cosmetics – 50% off all products with code EndOfSummer through Labor Day at midnight! Alyse Marie Cosmetics – 10% off all orders with code GLITTERGLAM and get a free pan with purchases $20+! Touch of Glam Beauty – 30% off everything with code LABORDAY30 through tonight! I will continue to update this list tonight and tomorrow – if you know of any shops or are a shop owner that is not listed here, please let me know in the comments, via email <glamourandgiggles@yahoo.com>, or instagram and I will be more than happy to add you! Oh this makes me so sad because I missed all the good sales! And this was an amazing post! Wish I would have seen it before Labor Day so I could have shared it for u. Great job with sharing all this info though girl!! !